Institute of Real Estate Management Members Tour Prism’s The Residences at Edison Lofts in West Orange, N.J.
WEST ORANGE, N.J., – Members of the Institute of Real Estate Management’s (IREM’s) New Jersey Chapter 1 toured The Residences at Edison Lofts in Edison Village, Prism Capital Partners’ adaptive reuse of the historic Thomas Edison Invention Factory and Commerce Center in West Orange. 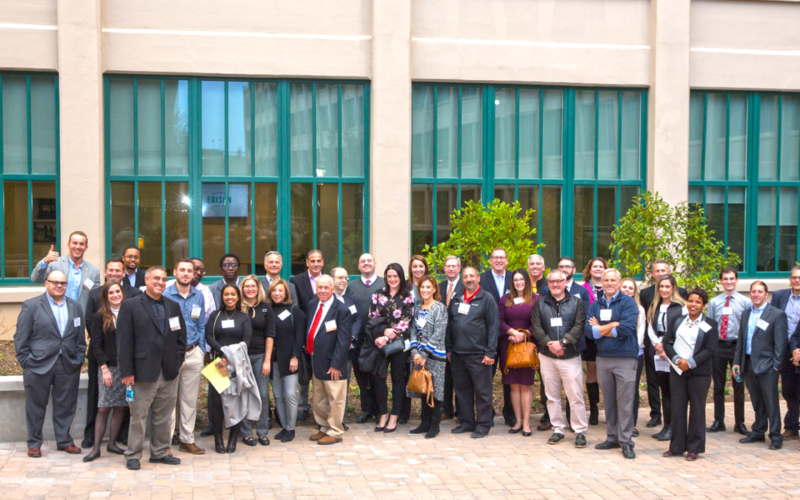 Jonathan Hoff, RPA, CPM, Prism’s senior vice president of management services – who also serves as vice president of IREM New Jersey – facilitated the tour. The Residences at Edison Lofts features 334 studio, one-, two- and three-bedroom units. The reimagined 100-year-old factory building also houses an amenities suite including a private fitness center, indoor swimming pool, sauna, personal and bike storage, media/screening room, theater room, private dining room, a dog-washing station and concierge service. A 12,000-square-foot rooftop indoor/outdoor Sky Lounge offers 360-degree unobstructed views of the surrounding area and the Manhattan skyline. Edison Village sits on 21 acres along Main Street in West Orange, in the heart of the township’s Downtown Redevelopment Area. In addition to the total reconstruction of the historic factory building, this phase of construction has involved the development of 18,400 square feet of retail, a 630-space parking structure, and The Mews at Edison Lofts, a boutique collection of 34 one- and two-bedroom homes. After their Residences at Edison Lofts tour, IREM New Jersey members enjoyed a reception at Bella Italia in Orange. Founded in 1933, IREM is an international community of real estate managers across all property sectors who are dedicated to ethical business practices and maximizing the value of investment real estate. The New Jersey chapter has the distinguished history of serving as one of the organization’s founding chapters.